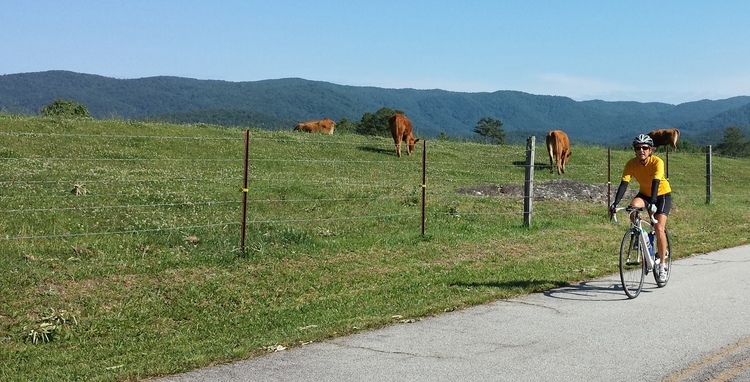 Featuring locally slow cooked barbecue with delicious side dishes, live music and craft beer, this ride winds through scenic rural roads in the foothills and valleys of the Blue Ridge. With little traffic to distract from the cycling, enjoy distances of 30 or 60 miles. 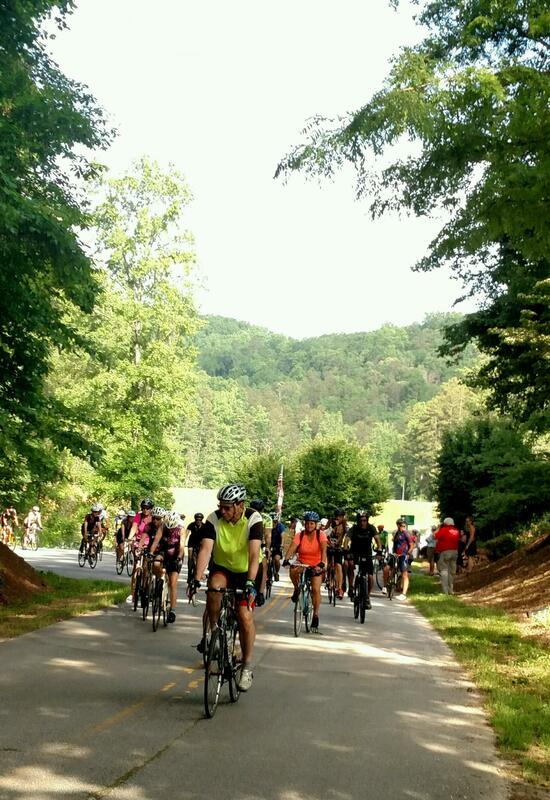 Upon completion of the ride, cyclists return to Lake Jemiki's beautiful setting adjacent to a private lake tucked into the mountains to enjoy the festival atmosphere where families can join in the fun. Cyclists must register before May 4 to be guaranteed a t-shirt. For all other cyclists, t-shirts are available while supplies last. Cyclists who register online are automatically entered into the door prizes drawing. Planning to bring your family and/or stay for the entire weekend? 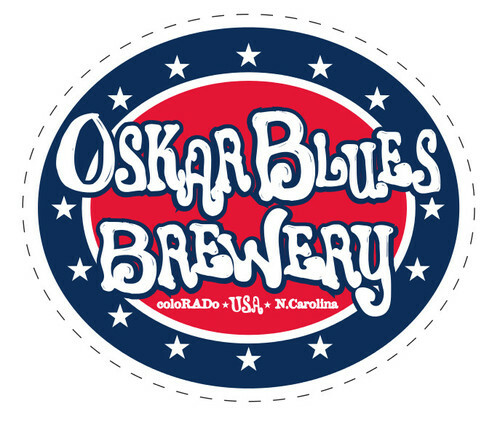 Check out places to stay and other activities at www.VisitOconeeSC.com. Online cyclists' registration prior to April 21 is $40. From April 21 through May 17, online cyclists' registration is $50. 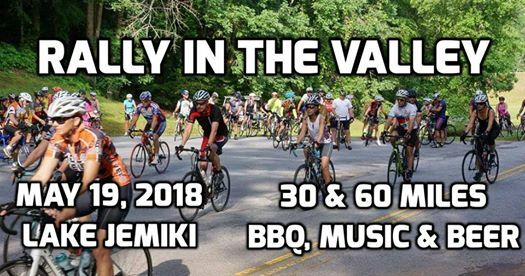 Event day cyclists' registration is $60. NO CREDIT OR DEBIT CARDS ACCEPTED FOR DAY OF EVENT REGISTRATION. We accept cash or checks (with ID). Online event only registration (no ride or t-shirt) through May 17 is $25. On the day of the event, event only registration is $30. Children under 6 are free and children 6 to 12 are half price. 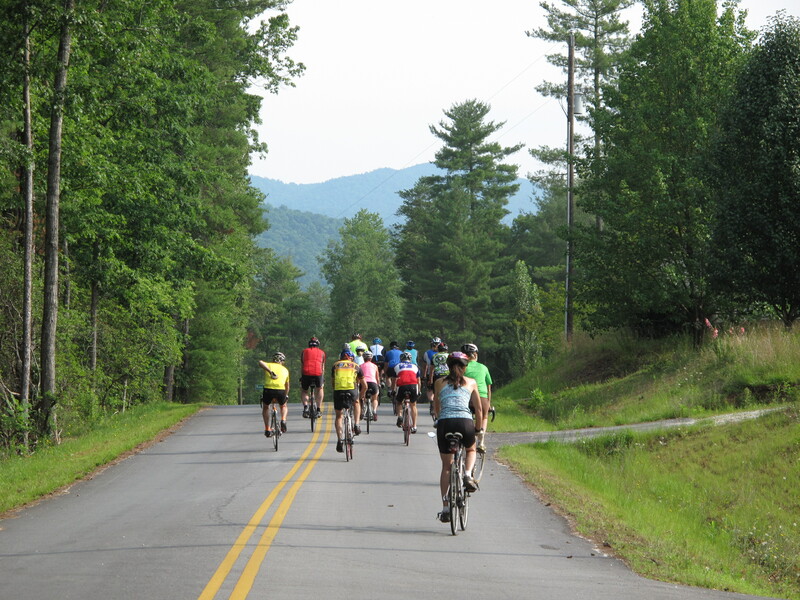 NEW THIS YEAR: $5 discount for groups of 6 or more cyclists who register before May 4. On event day, registration begins at 7 am. The 60 mile ride begins at 8 am. The 30 mile ride begins at 9 am. 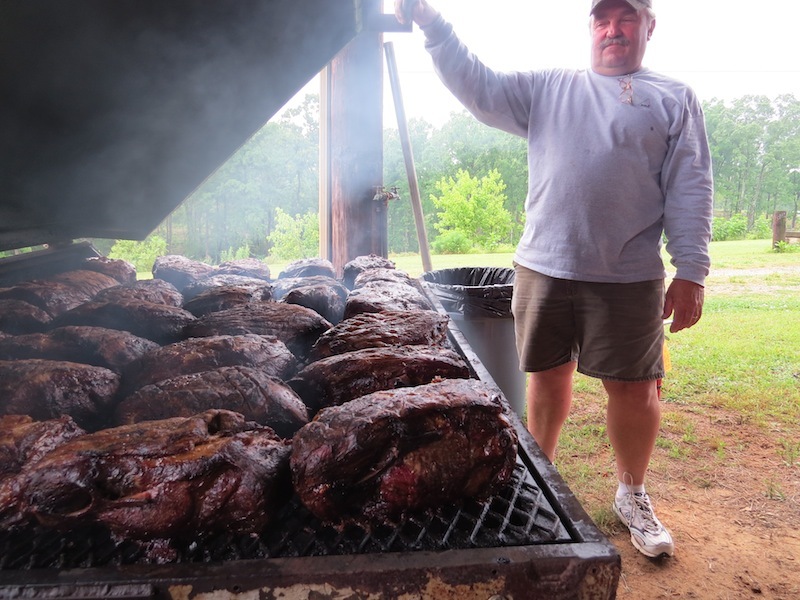 The barbecue, music and craft beer portion of the event starts at 11:30 am and ends about 2 pm. Cyclists join in the food and fun upon completion of their rides. Lawn chairs are welcome. Please, no dogs. If you plan to drink beer, a photo ID is required at registration. 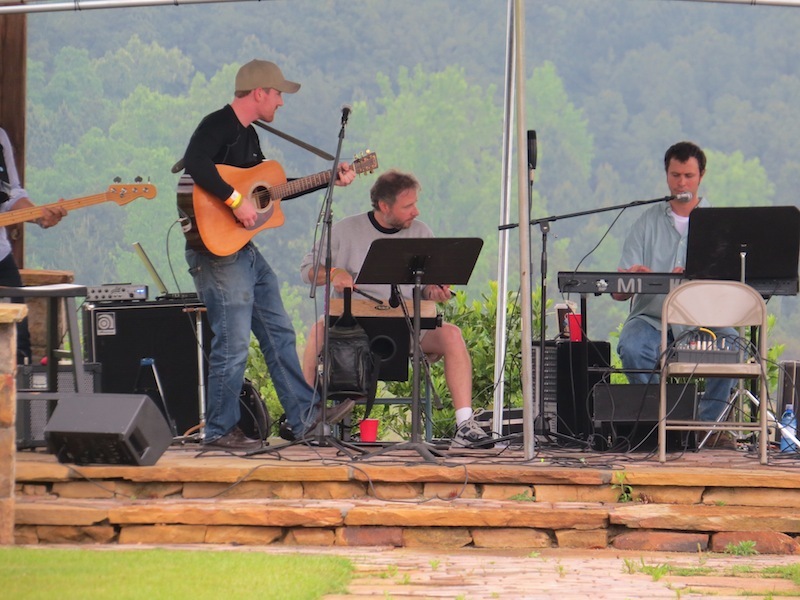 This event supports Oconee Forever, an all volunteer outreach group of Upstate Forever, whose mission includes conserving natural resources, working farms, historic sites and open spaces in Oconee County, South Carolina. One hundred percent of the net proceeds from this event will be used to help fund the Stumphouse bicycle park. Want to register by mail? Email oconeeforever@gmail.com to request the registration form and waiver. Group discount applies to mail registration only if received on or before May 3. 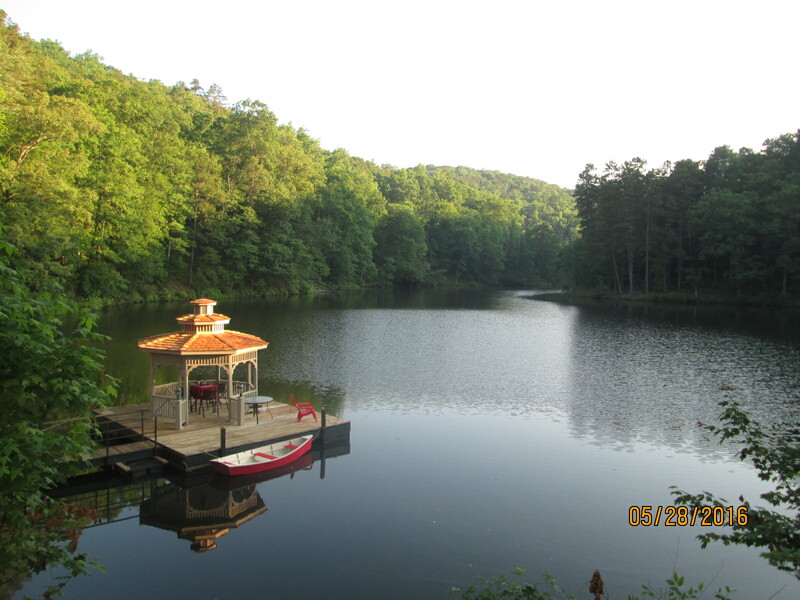 Funding has been provided by the Oconee County ATAX Committee through the Oconee County County Council.